"The possession of double X chromosomes often correlates with two other genetic conditions: Princess Mania and Ballet Obsession. Such has always been the case with my daughter, despite my lack of girliness. She saw her first real live ballerina at age 2, when we happened upon a free mini-performance of the Oregon Ballet Theater. Since then, she's been hooked. 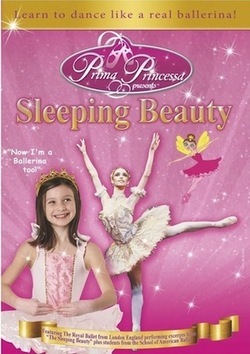 So, I was excited to pull my daughter into service helping me review Prima Princessa Presents Swan Lake. 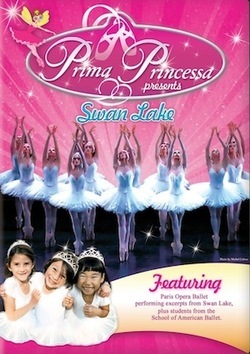 This sweet DVD treats ballet-loving preschoolers to an abridged and narrated version of Tchaikovsky's Swan Lake, as performed by the Paris Opera Ballet. 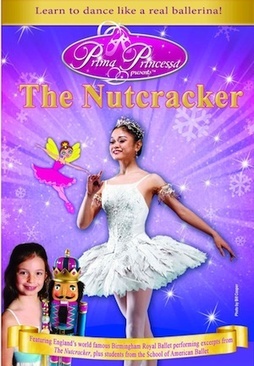 The plot of each act is interpreted by Prima Princessa, an animated fairy princess ballerina, followed by simple ballet vocabulary lessons, video of young ballet students (both boys and girls, which I appreciated), and tutu shots of cute preschoolers hopping around in the grass.